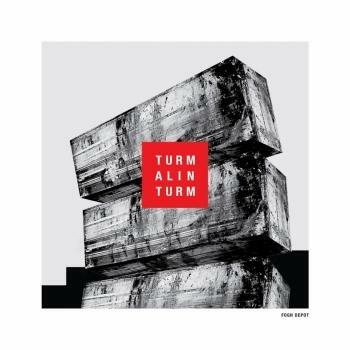 Turmalinturm [remixes] is a scrupulous compilation of tracks inspired by the second Fogh Depot album released in October 2016 via Denovali Records. 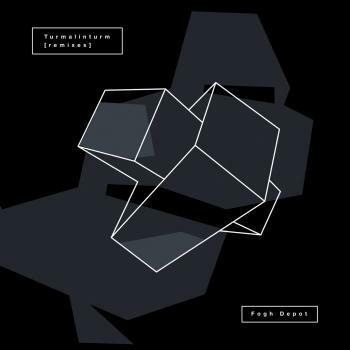 The idea was to compile pieces both from artists of the Denovali roster and of the booming Russian electronic scene. The Tourmaline tower is crashed. A new town is being raised at its place, eclectic in architecture, but of a monolithic mood. Get ready for a dense atmospheric mix of magnetic darkness and genuine delicacy. This is an example of seductive and at the same time disturbing tunes at the confluence of drone, ambient, IDM and live electronica. The collection absorbes works of the most skillful producers of this noble genre demanding extreme precision. Half of the London-based duo «Piano Interrupted» and also successful solo musician Franz Kirmann provides a shard of pure romanсе from Albion’s shore, while the experienced Moscow artist Dima Ustinov delicately and gently dissects the modal harmony of the track «Meduse». The prolific Sardinian producer Saffronkeira adds a detached, ephemeral and otherworldly piece and master of techno hymns. Moa Pillar contributes a horror-drone remix of «Quicksilver Spoon». For those who want to dance there is Monokle - an eclectic musician from Saint Petersburg - decomposing «Meduse» into a bassy club track. The Siberian dark lord of modular synthesizers Hmot totally deconstructs «Oscar» and literally distills all the piercing dramatic effect from the track, while an emotional and powerful piece by John Lemke, gloomy, affective and catchy, closes the remix album. The Tourmaline tower is crashed. But the town made of its remnants is no less fascinating than the original.